Notes: Chinese Herb good against parasites. Good to stop bleeding and stop infections. Sow in the Fall or Winter. 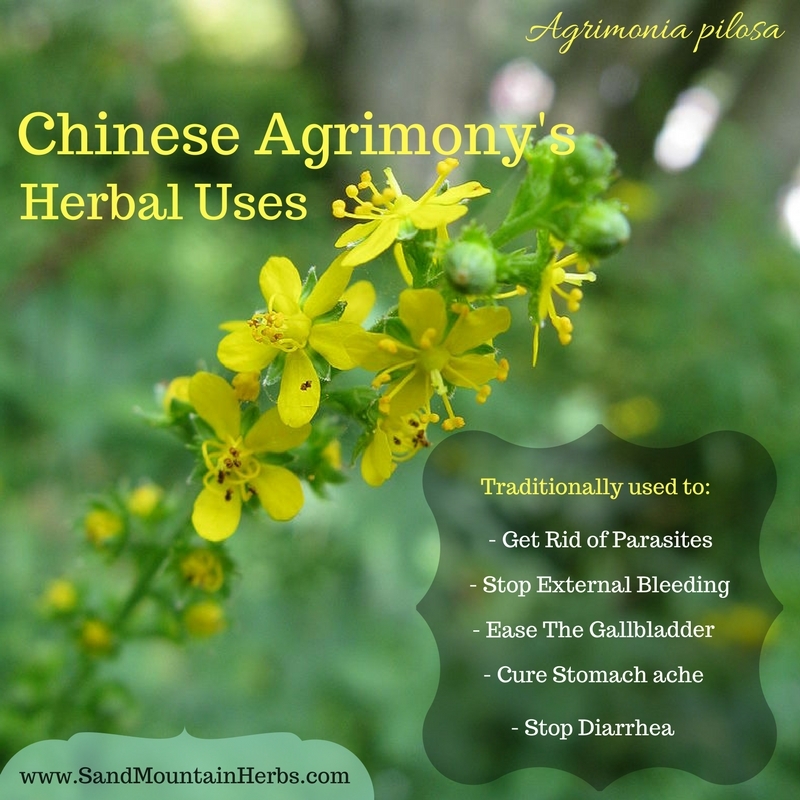 AGRIMONIA PILOSA (Xian He) Traditional Chinese remedy against parasites, including taenia, malaria plasmodia, schistosomomas and vaginal trichomonas. Antiparasitic compound agrimophol is 95% effective against taenia. Also used to stop bleeding and to prevent infection.